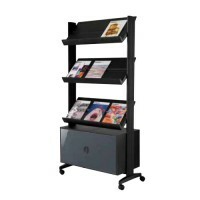 This wheeled steel brochure holder features four shelves for you to place marketing or informational material. You can choose a range of capacities and configurations with this product – select 12 or four A4 capacity when placing your order. 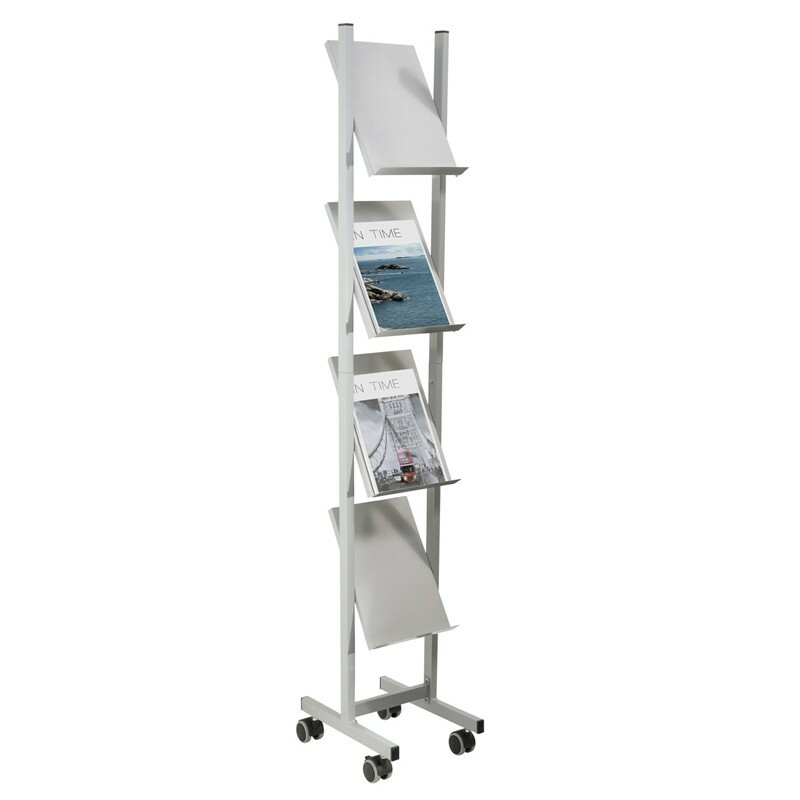 This item can be customised to suit your specific requirements; the shelves can be angled at 15, 45 or 90 degrees for your convenience. 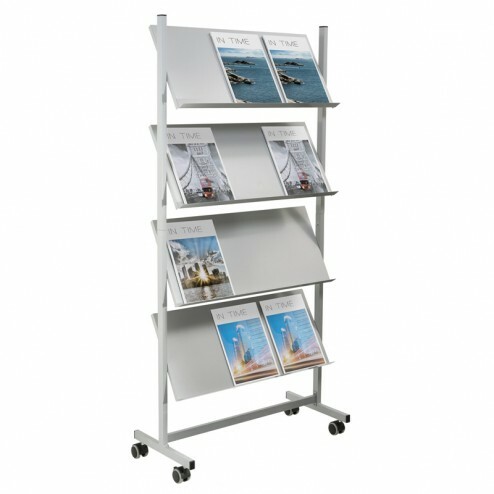 If your requirements change you can manually adjust the angle of each shelf at your leisure. 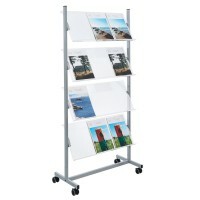 Moving this wheeled steel brochure holder around your premises is quick and easy thanks to the lockable castor wheels it boasts. 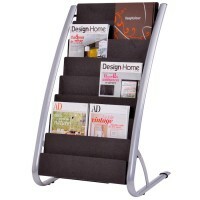 The brochure holder has a satin anodised aluminium stand, and comes with a powder-coated finish. 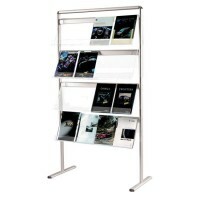 This steel brochure holder will arrive flat packed, however it’s really easy to assemble using basic tools and the instruction leaflet provided. 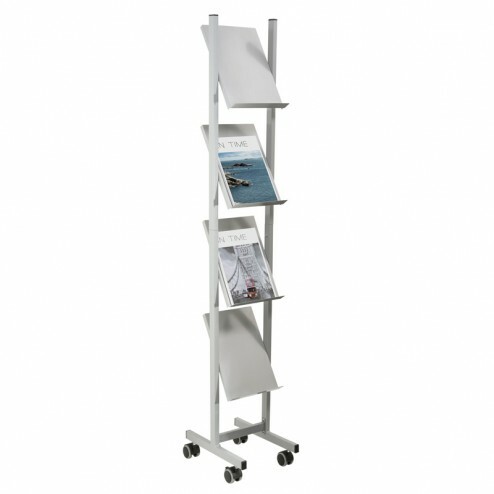 If you need a practical, functional steel brochure holder, look no further and place your order with us now!